As senior vice president for policy and government affairs, Rob Mulligan oversees our wide ranging activities on international trade, investment, economic and regulatory matters, and supervises a staff of policy professionals whose expertise covers a host of issues affecting American companies engaged in global business. He also coordinates USCIB policy and advocacy work with the U.S. and foreign governments, our international affiliates – ICC, BIAC and IOE – and other international groups. He is a vice-chair of the BIAC Trade Committee. Prior to taking on this role, Mulligan served as head of the USCIB office in Washington, D.C.
experts in Washington, D.C., Brussels and Beijing. Prior to his work with TechAmerica, Mulligan served for seven years as assistant vice president for international external affairs for The Chubb Corporation, a global commercial specialty insurer. He developed and implemented the corporation’s international strategy for interacting with governments and business organizations worldwide on issues related to trade policy, insurance regulation and business development. From 1993 to 1995, Mulligan lived and worked in Prague as executive director of the Central Europe Institute, a non-profit organization providing business training and consulting to entrepreneurs in the Czech and Slovak Republics. He has also lobbied on health issues for the Blue Cross and Blue Shield Association, worked for the U.S. Department of Commerce as an international trade specialist, and began his career in Columbus, Ohio as a litigation attorney with the firm of Vorys, Sater, Seymour and Pease. Mulligan has an MBA from the Solvay Business School at the Université Libre de Bruxelles, a law degree from the Ohio State University College of Law and a bachelor’s degree in history from Miami University. USCIB Releases 2019 Trade and Investment Priorities (2/5/2019) - USCIB has published its 2019 Trade and Investment Agenda. The Agenda is a result of an intensive consultation process with USCIB members to identify key member priorities for 2019. European Union - The EU Committee promotes the interests of U.S. businesses in Europe and advocates for unobstructed transatlantic trade and investment. 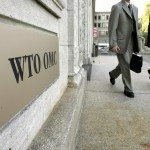 Trade and Investment - The Trade and Investment Committee advocates for opening global markets by eliminating barriers to trade and investment, spurring growth and job creation.